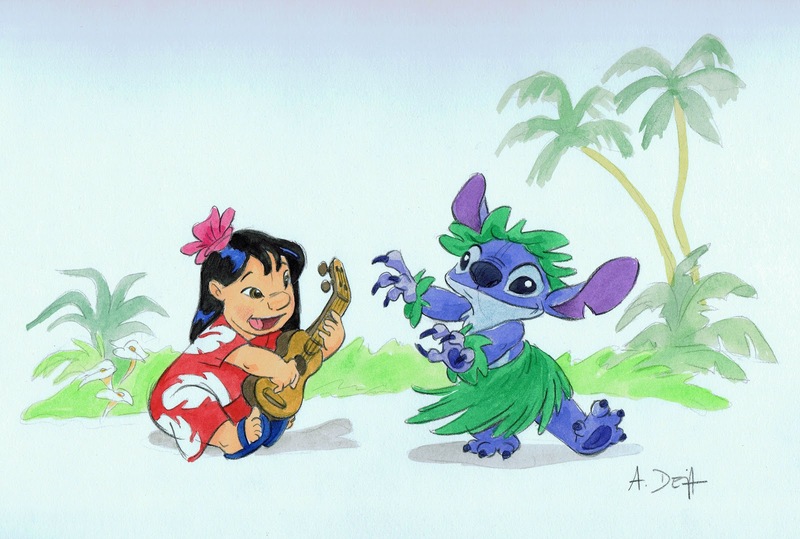 Another watercolor study of Lilo and Stitch I did last year. 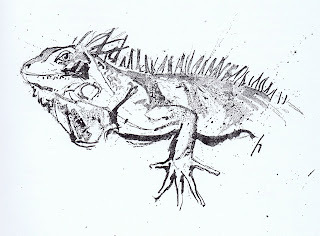 It always fascinates me how subtle as well as bold you can be when applying watercolors. 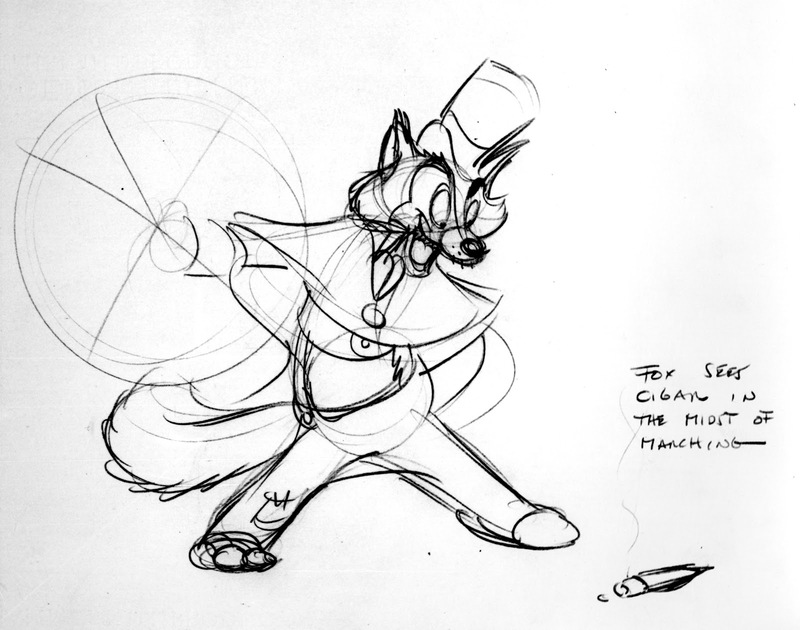 Brings back fun memories from a film that has the chance to become a classic. 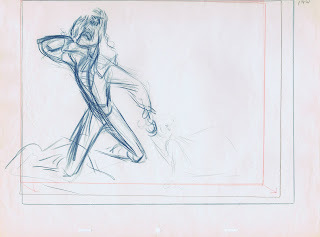 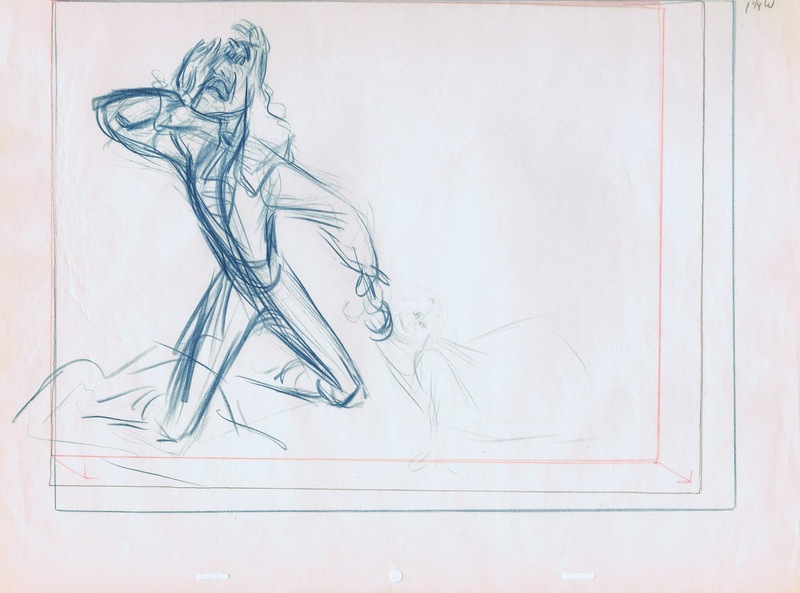 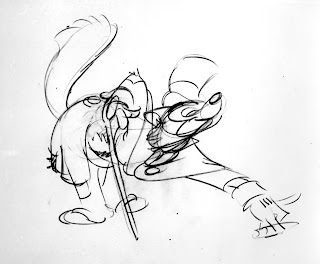 Here are a few more of Frank Thomas' rough character layouts for the second half of the scene. 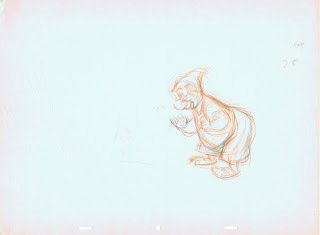 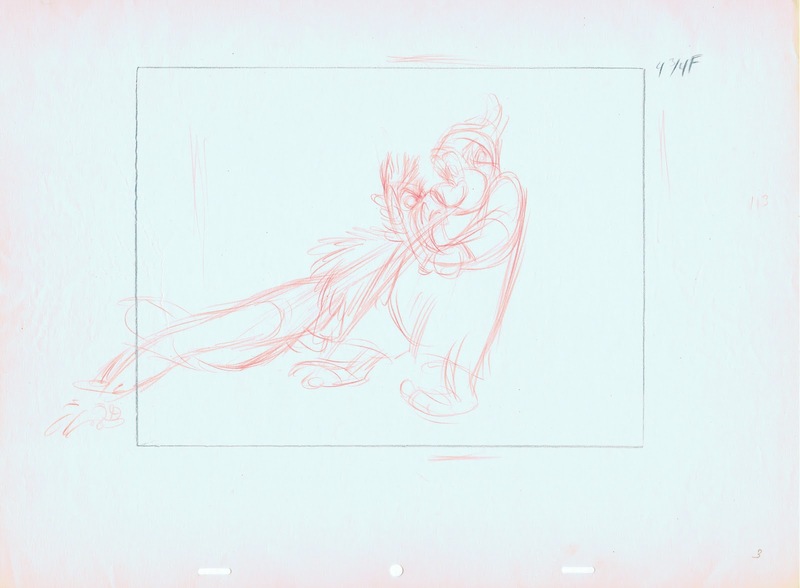 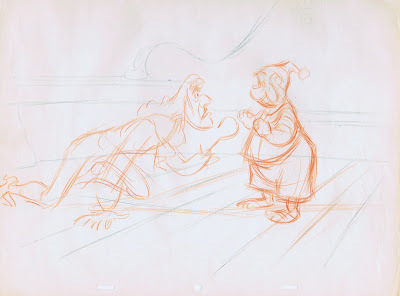 The sketch above establishes the size relationship between Hook and Smee. 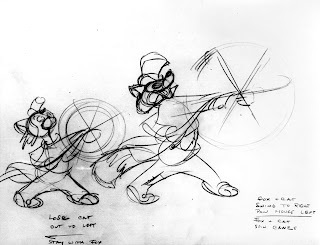 Hook anticipates a reach toward the bewildered Smee. He then extends his arm to get a hold of Smee. 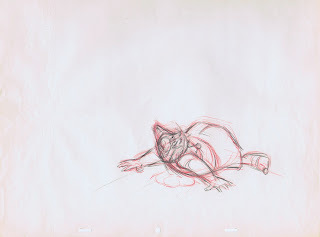 Hook reacts to the crows nest announcement that Peter Pan is approaching. His attention now lees with Smee, instead he is processing what he just heard. 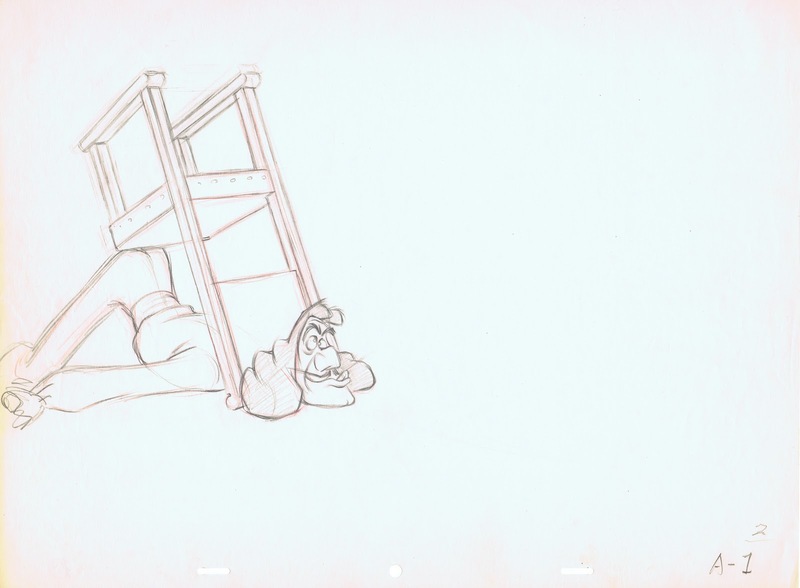 He then drops Smee , turns toward the crows nest to give an order. 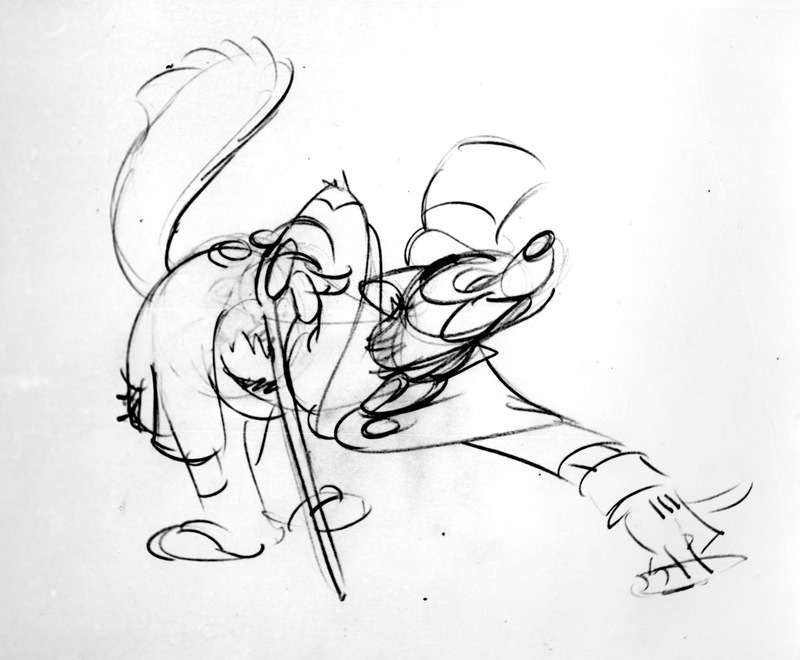 All this is so carefully staged and timed out in the animation, that you are never in doubt about what the characters are thinking. 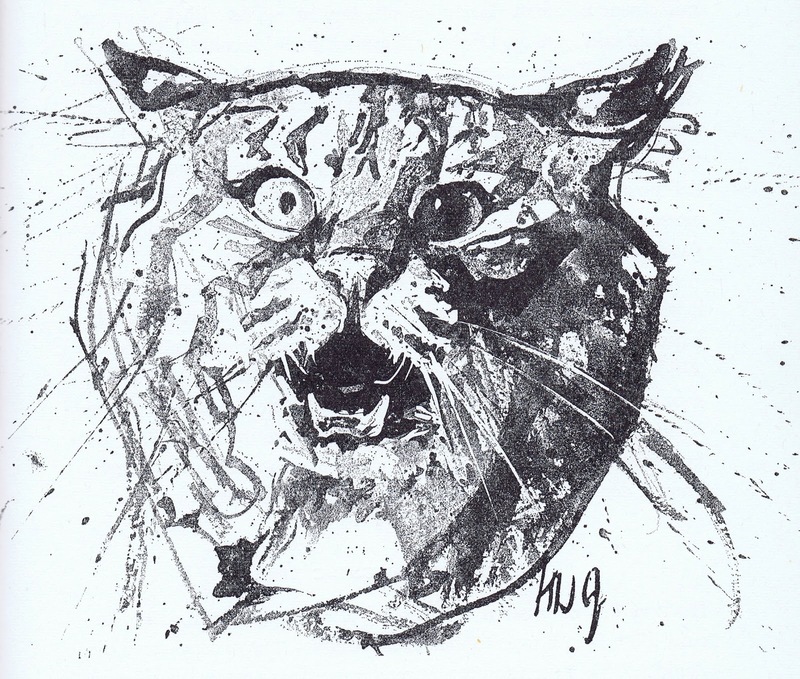 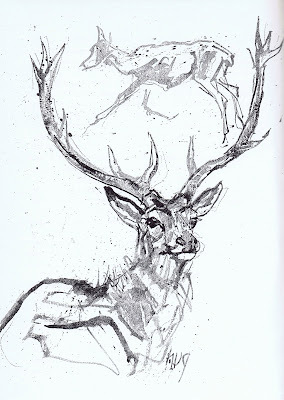 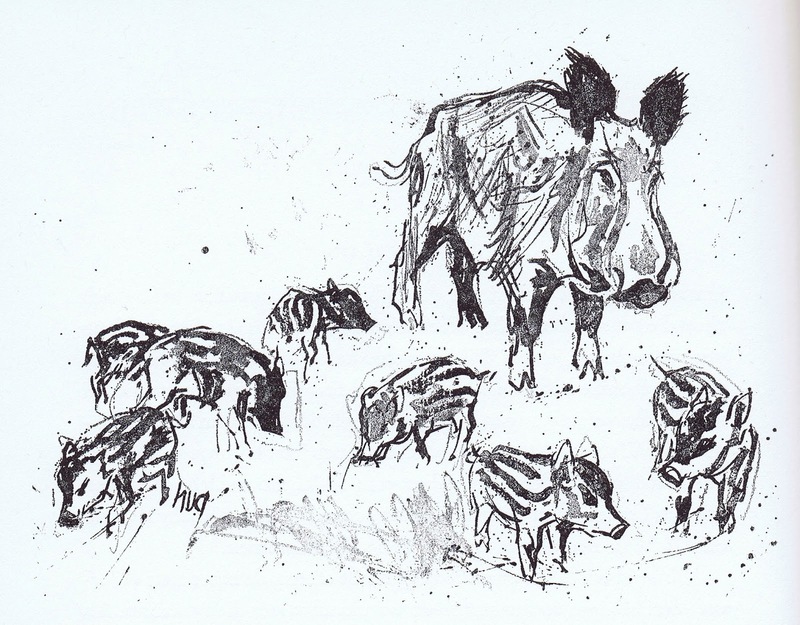 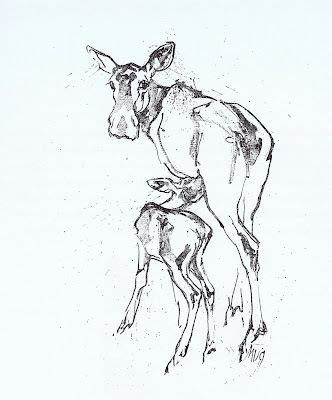 It has been a long time since I posted any wildlife art from the great Swiss painter Fritz Hug. 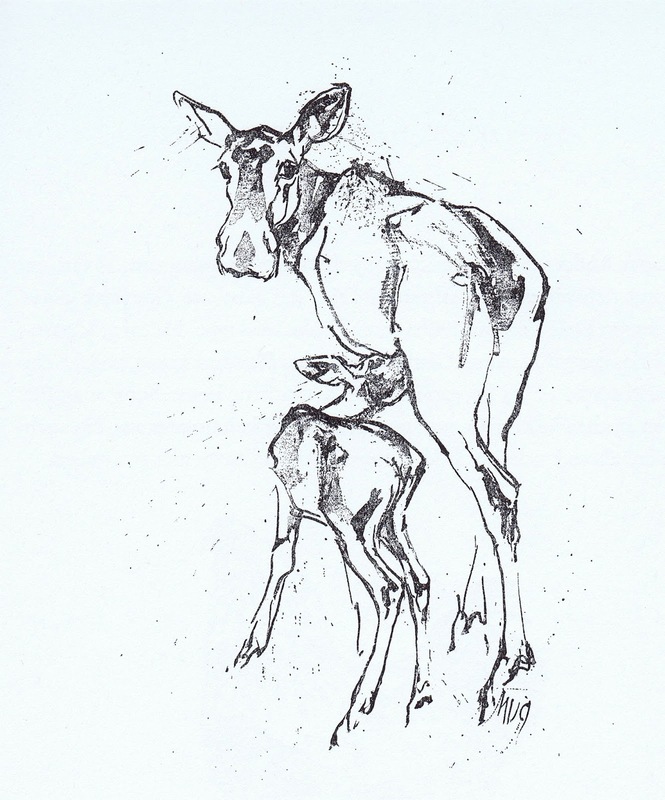 These charming spot illustrations were published in the 1966 book "Tiere, meine taeglichen Gefaehrten" (Animals, my daily Companions). 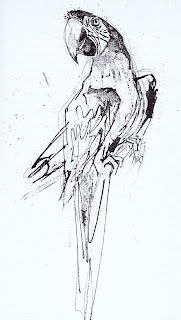 The technique is brush and ink, and I see a combination of confidence and carefully observed subtleties. 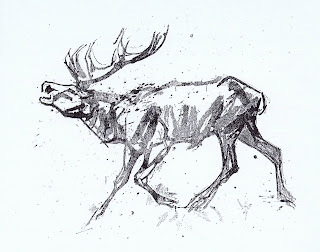 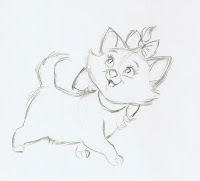 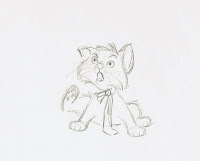 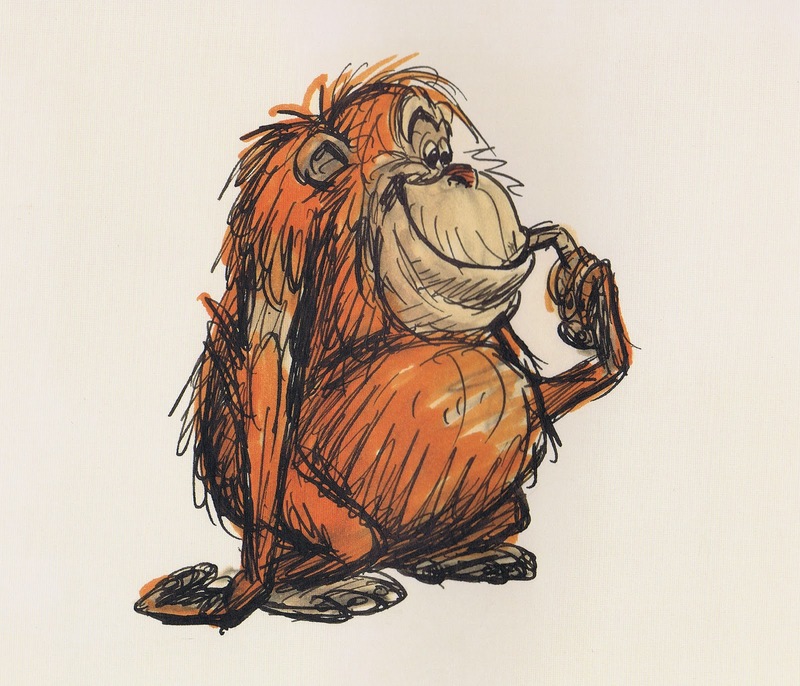 There isn't an animal he couldn't draw or paint with great believability. 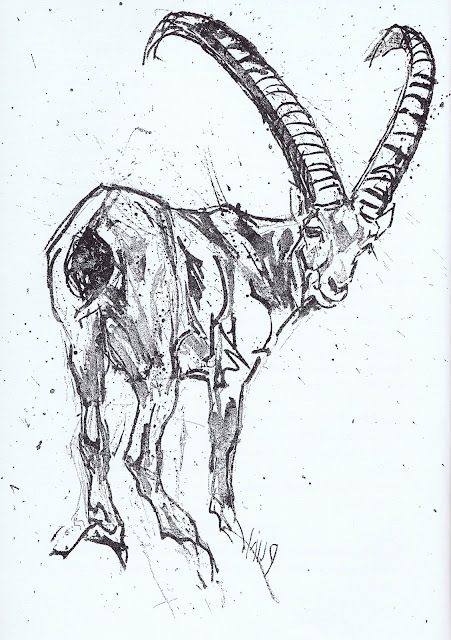 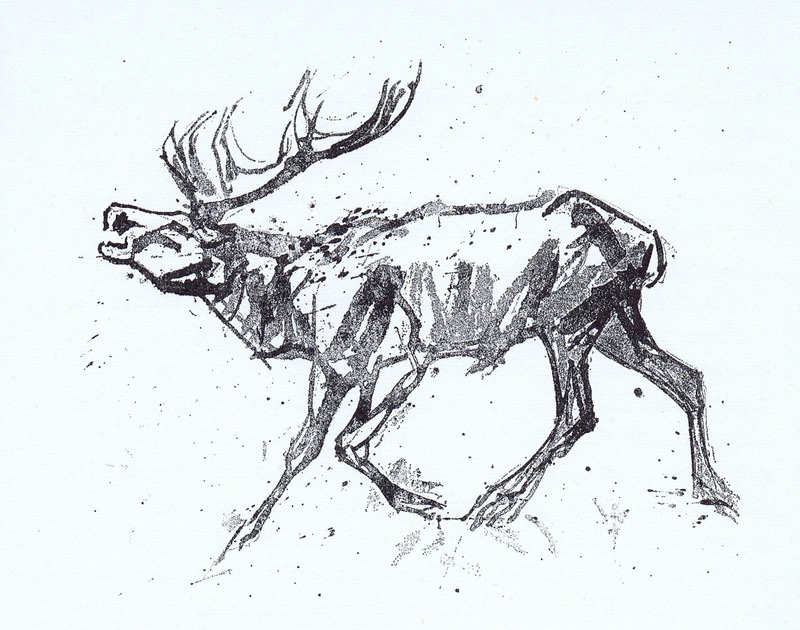 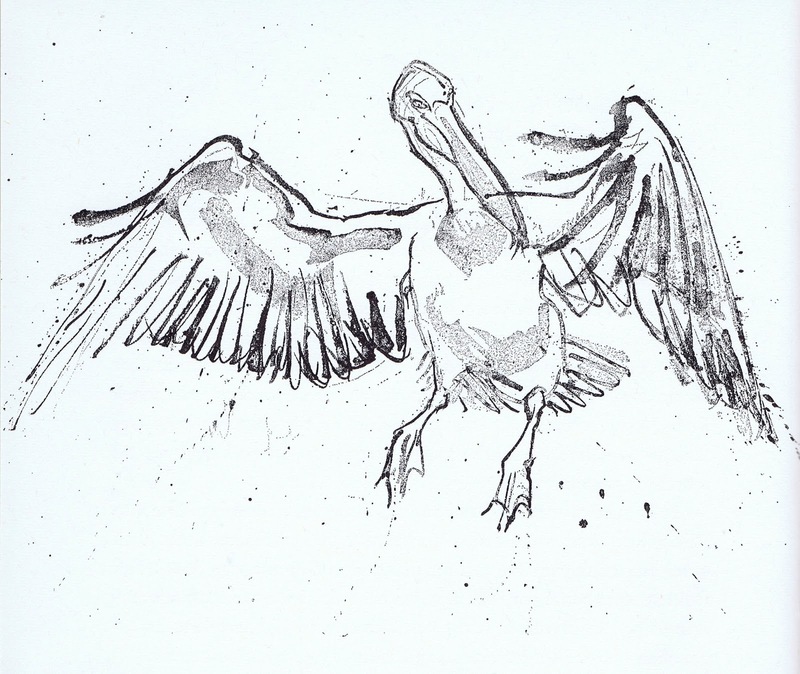 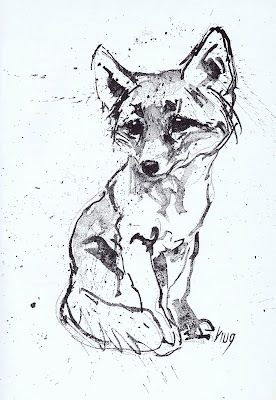 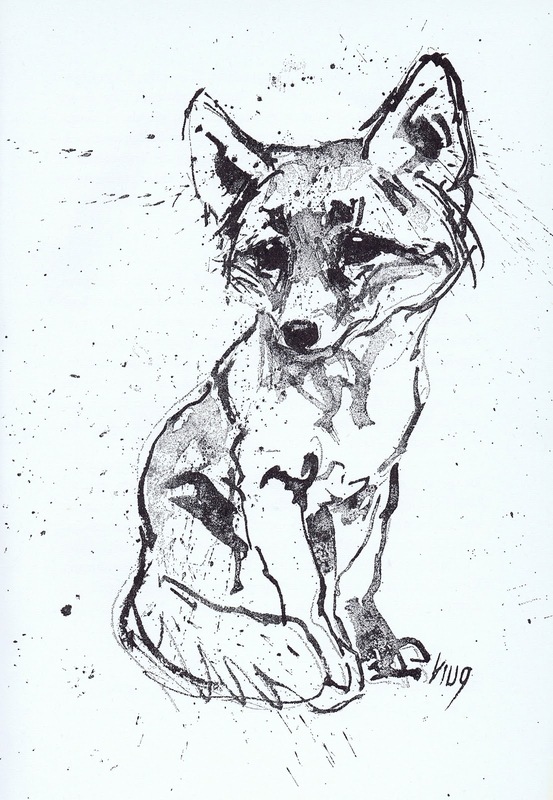 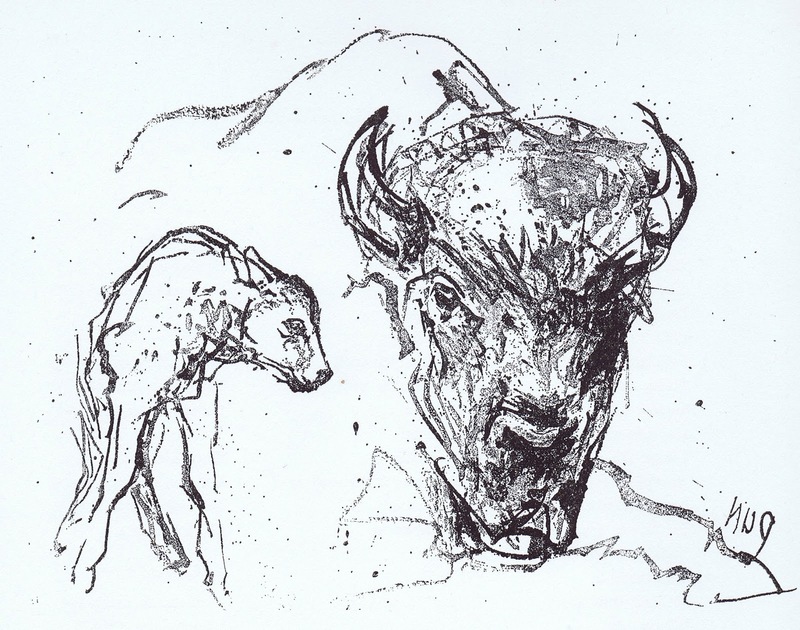 The angularity in his work helps to bring out the specific anatomy of the animal. 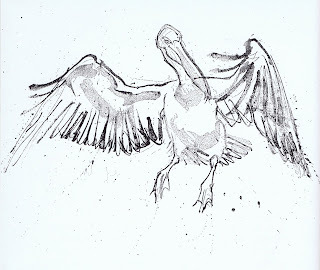 And those ink splashes are a trademark of his. 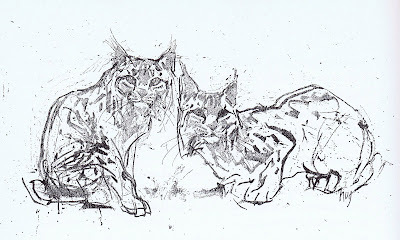 I purchased an oversized print showing a tiger recently, would love to own an original sketch sometime. 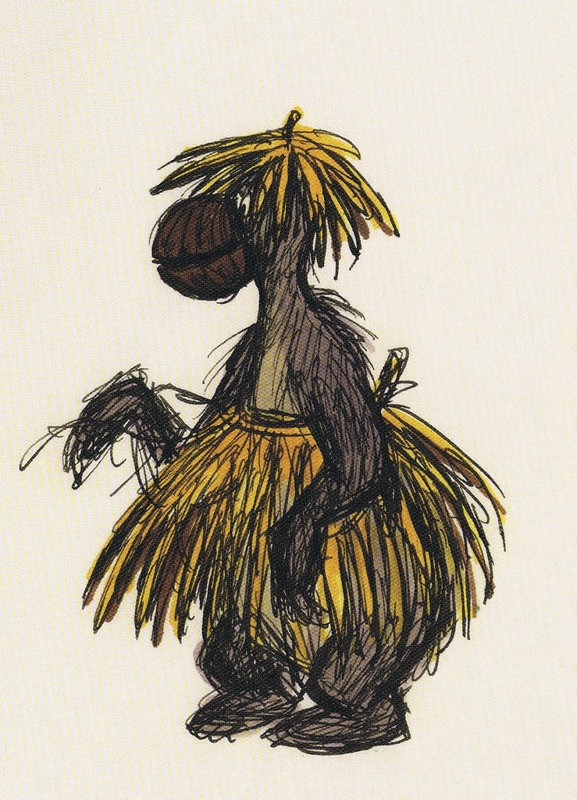 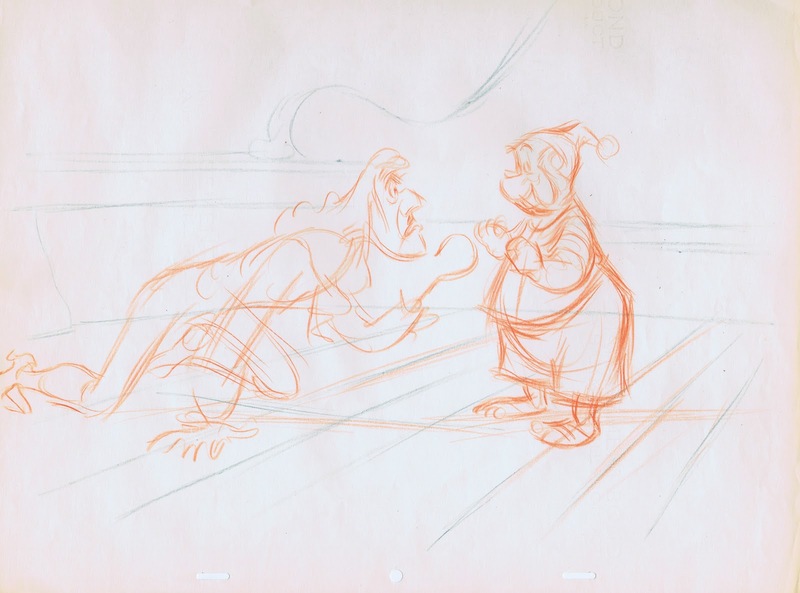 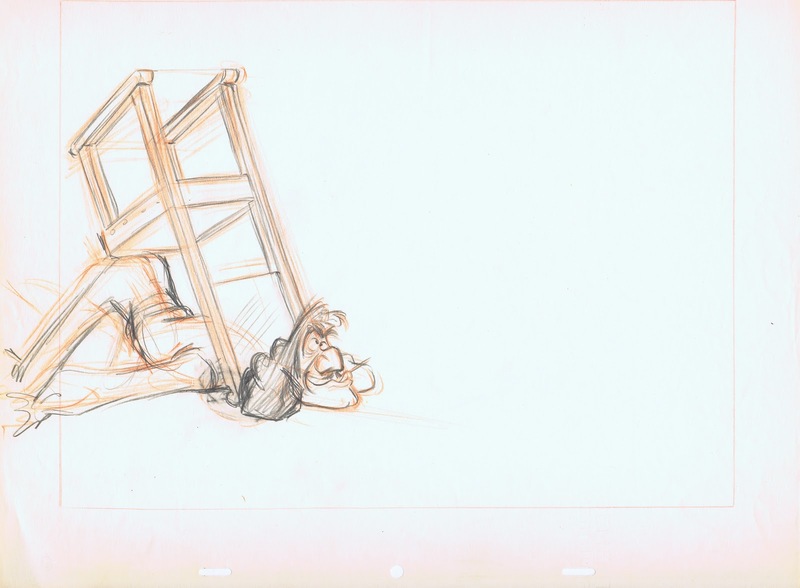 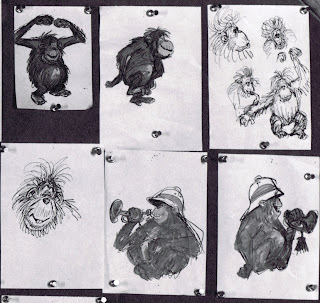 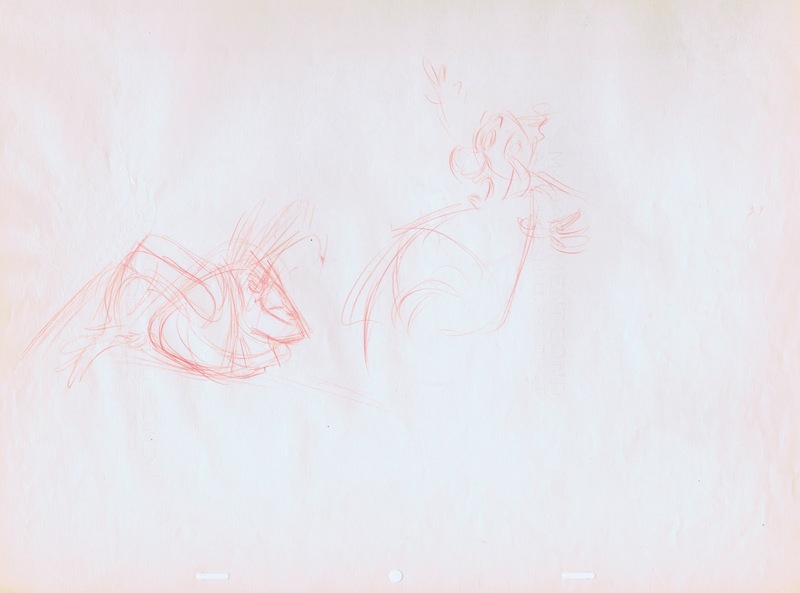 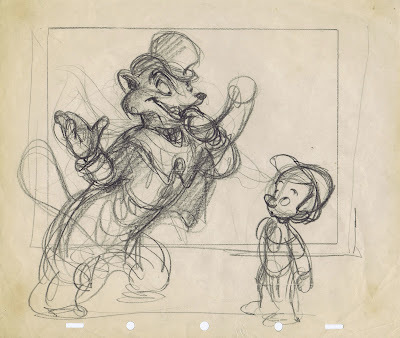 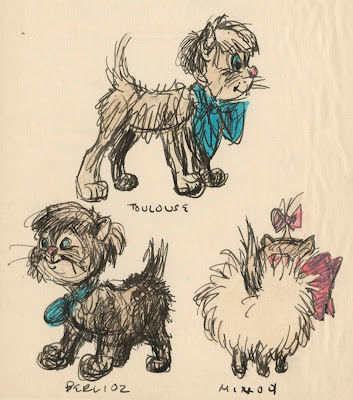 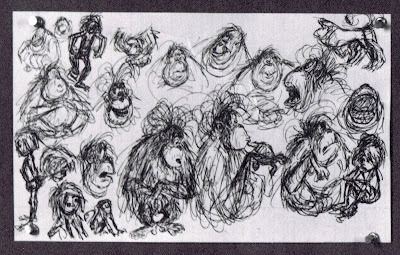 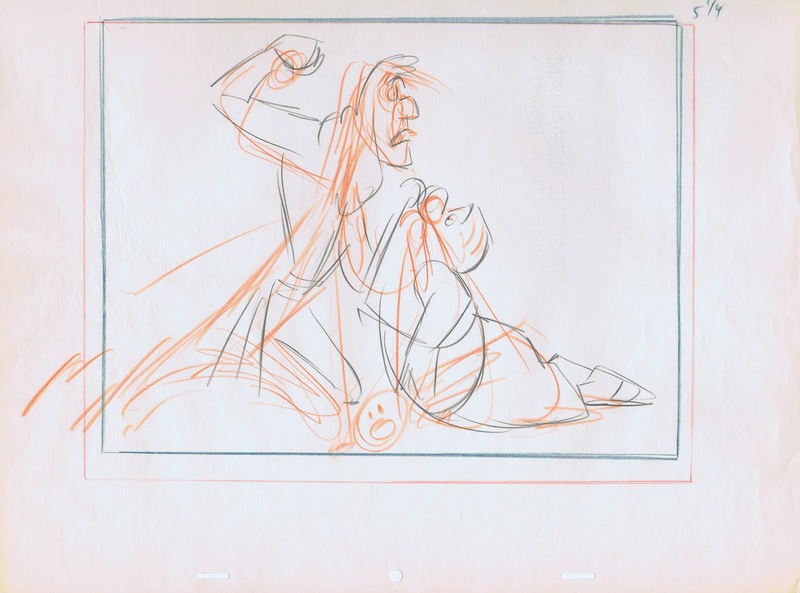 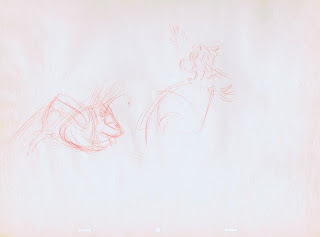 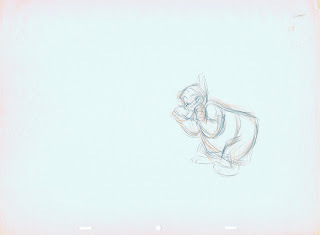 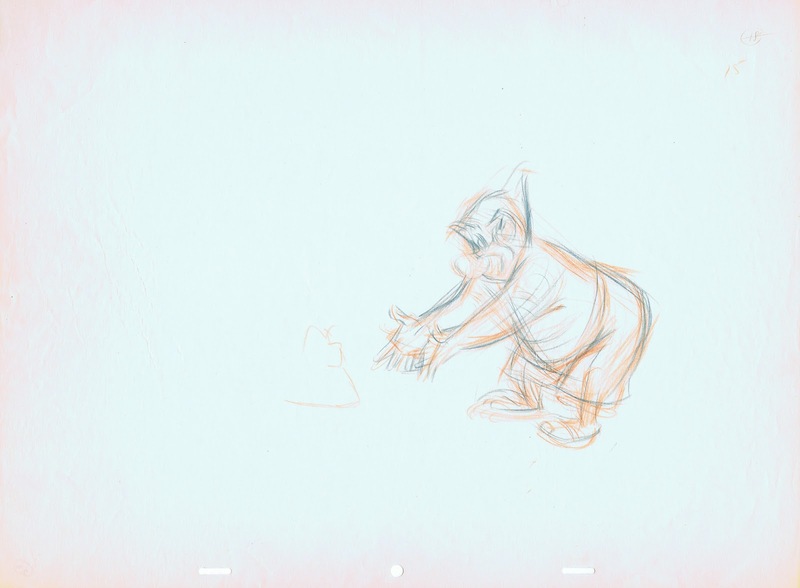 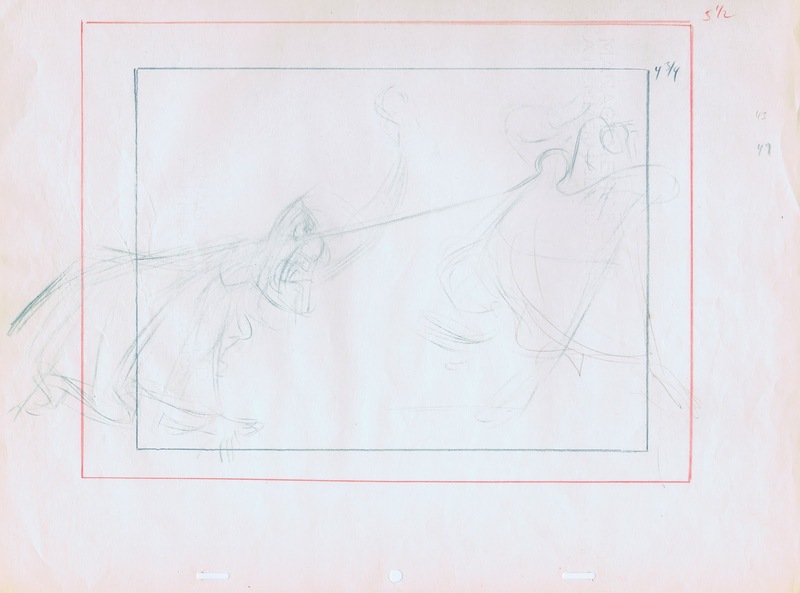 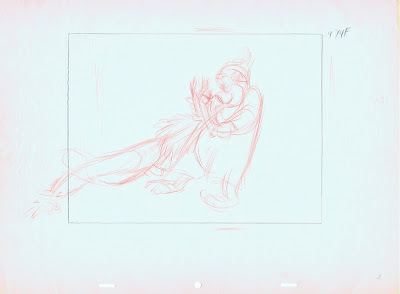 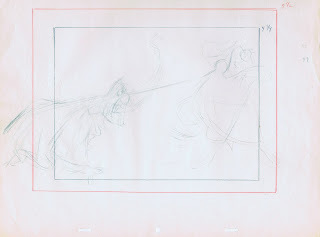 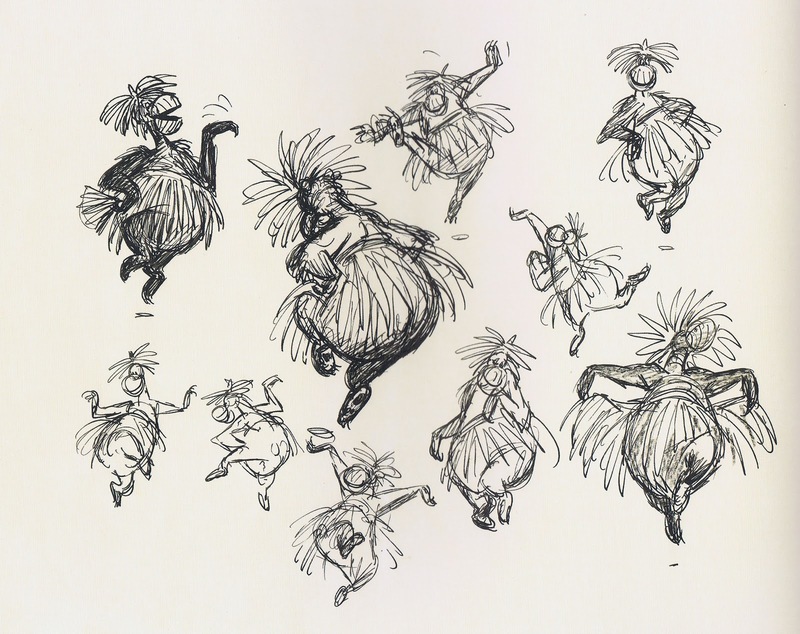 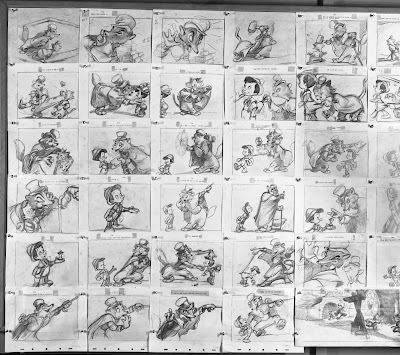 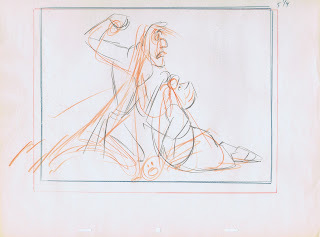 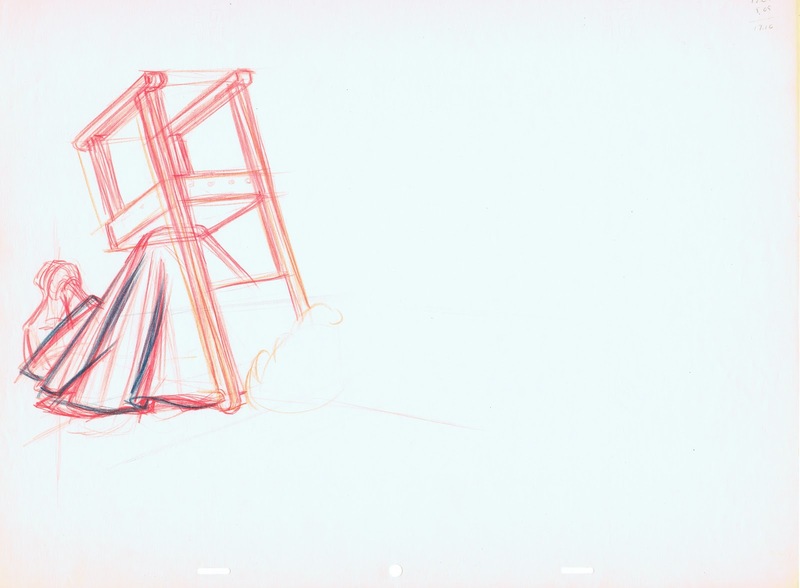 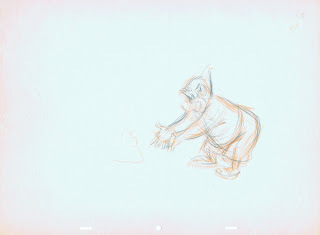 The boards show Anderson's designs for King Louie and Baloo, dressed in drag disguise. 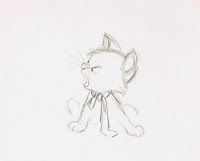 So the voice artists being recorded that day might have been Louis Prima and Phil Harris, who performed the Sherman brothers' song "I wanna be like you! 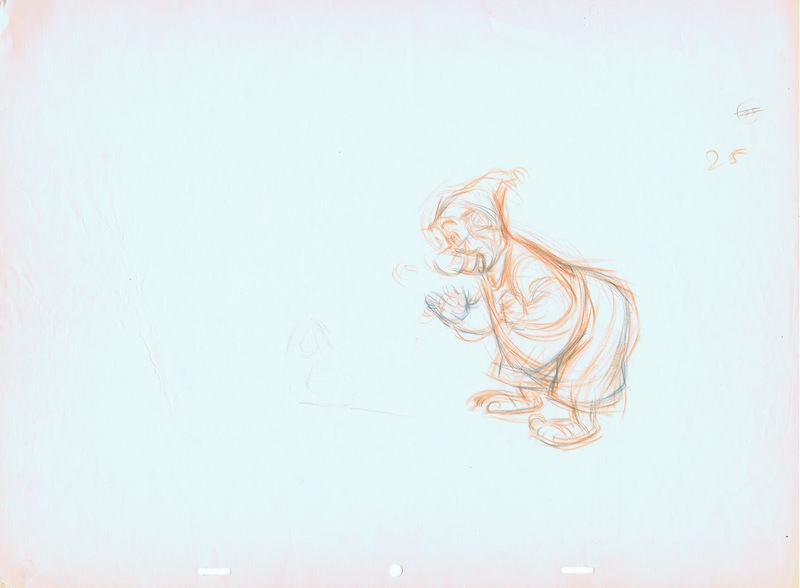 ", one of the highlights of the film. It looks to me the location could be Sound Stage A or B on the Disney lot. 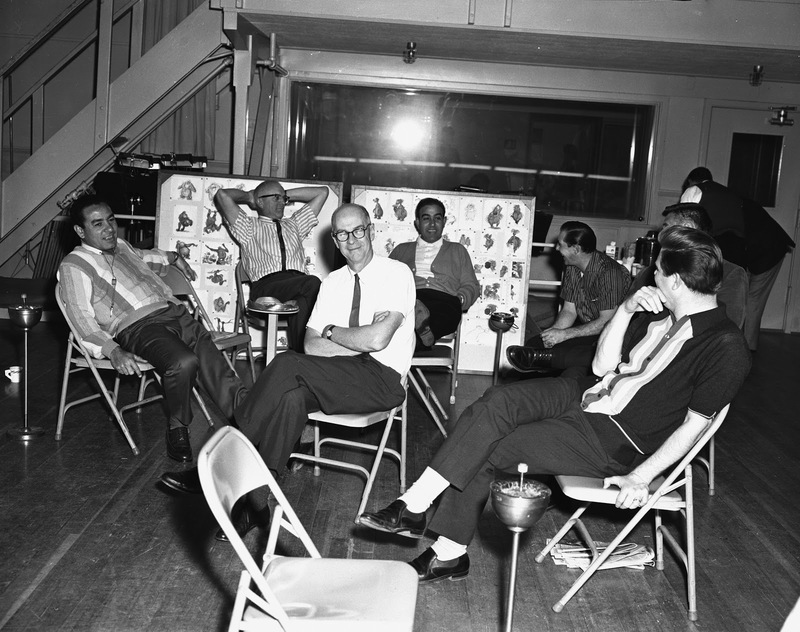 In later years I was present for many recording sessions there, which involved my characters. 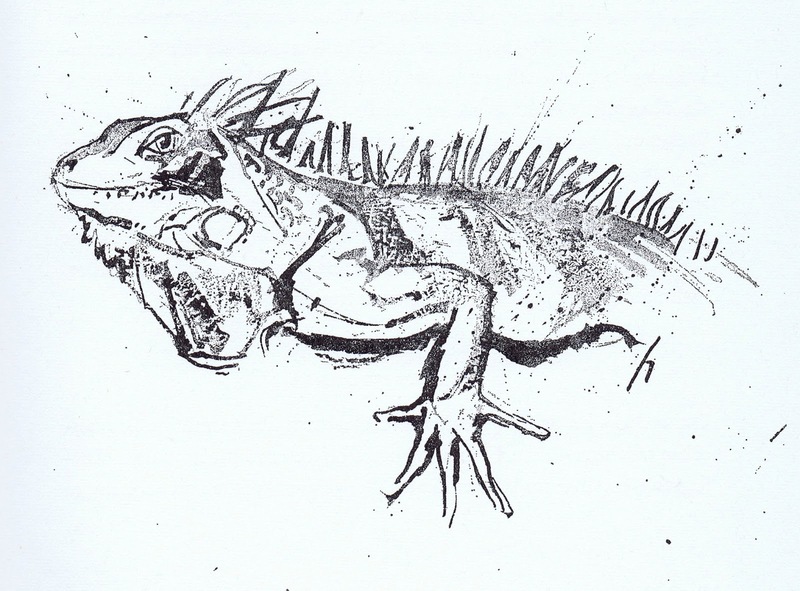 Seems like we had better catering than what I see in the photo. 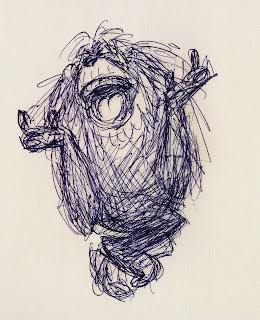 Beside coffee there was never a shortage of fresh fruit, bagels, cookies and sandwiches. And that was necessary, because those recording sessions could last for many hours. 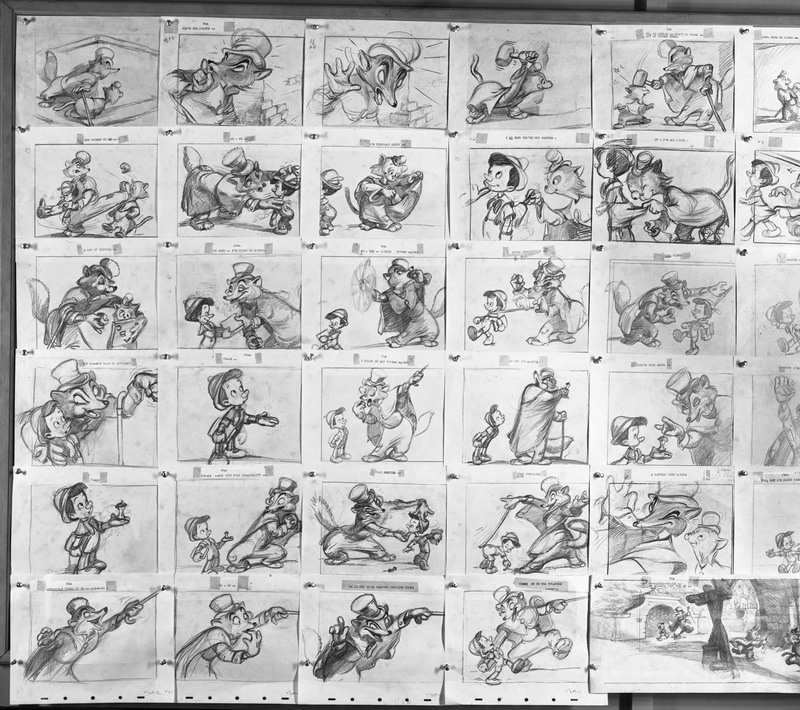 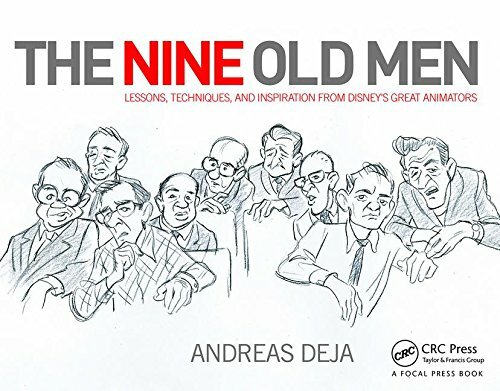 For final dialogue directors and animators prefer to choose from a number of takes, to pick out the one that sounds just perfect. 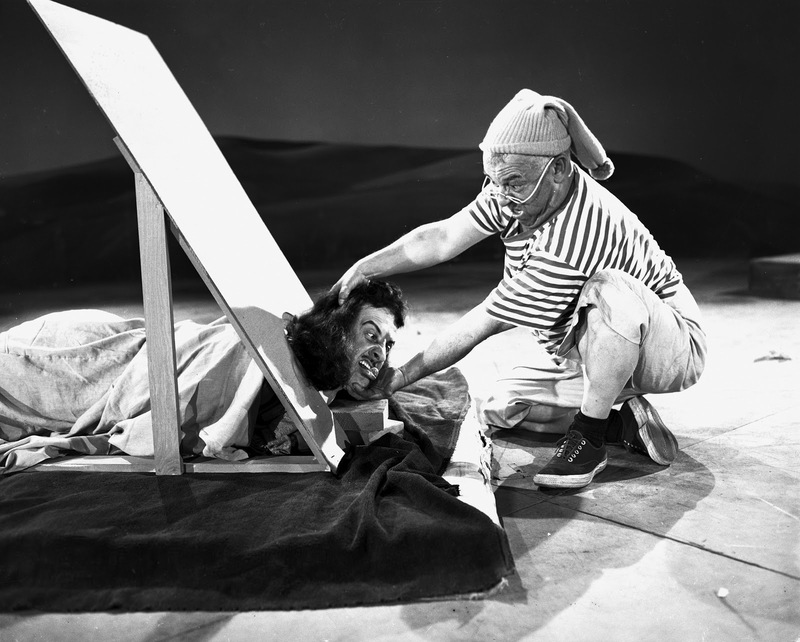 Looking at this photo is like time travel, a moment during early production from a film that would change my life. 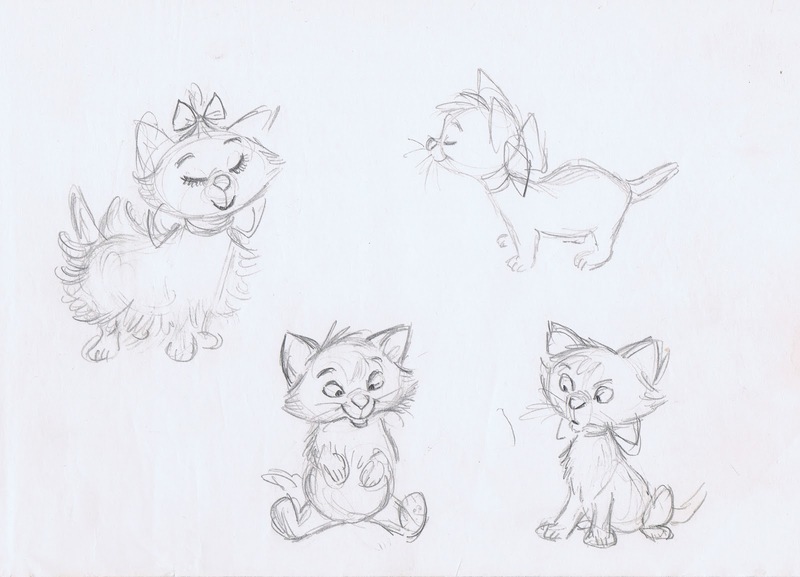 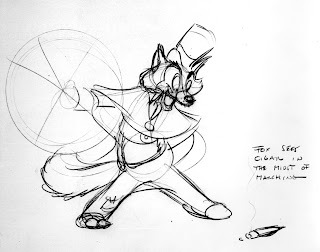 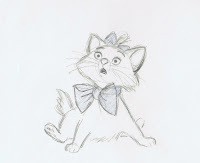 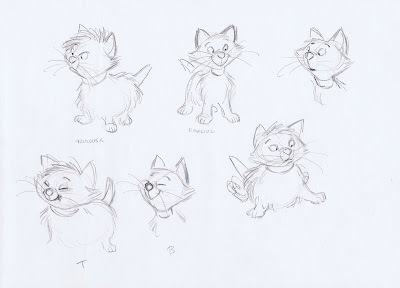 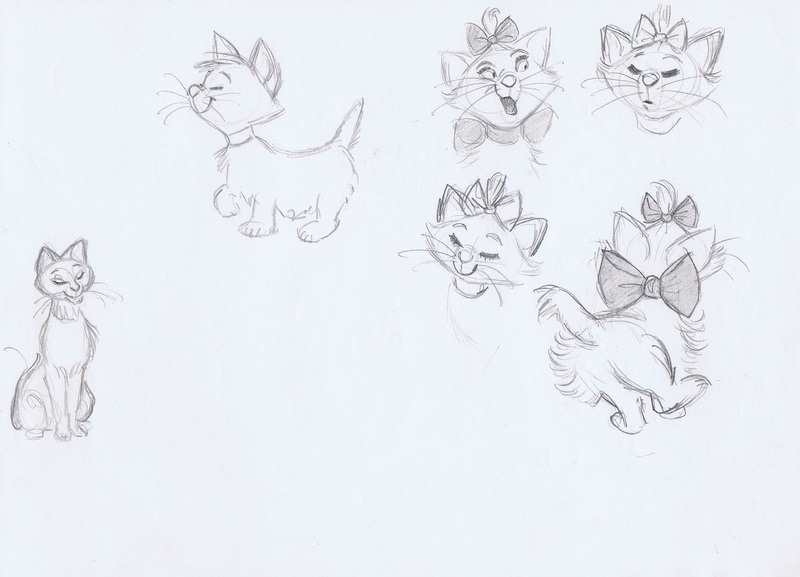 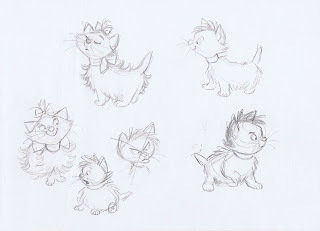 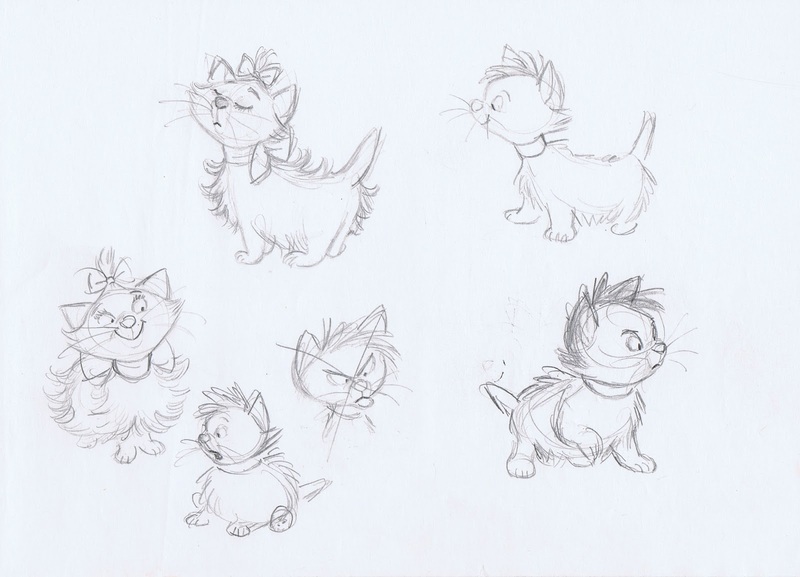 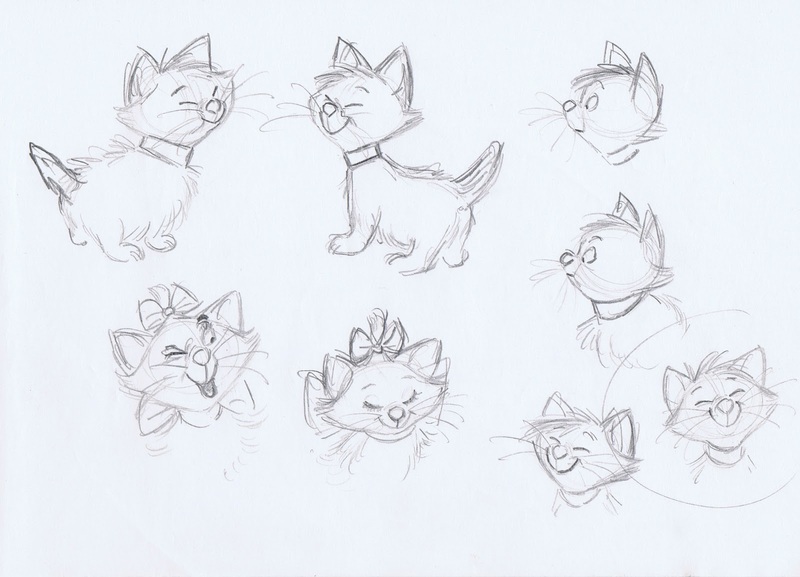 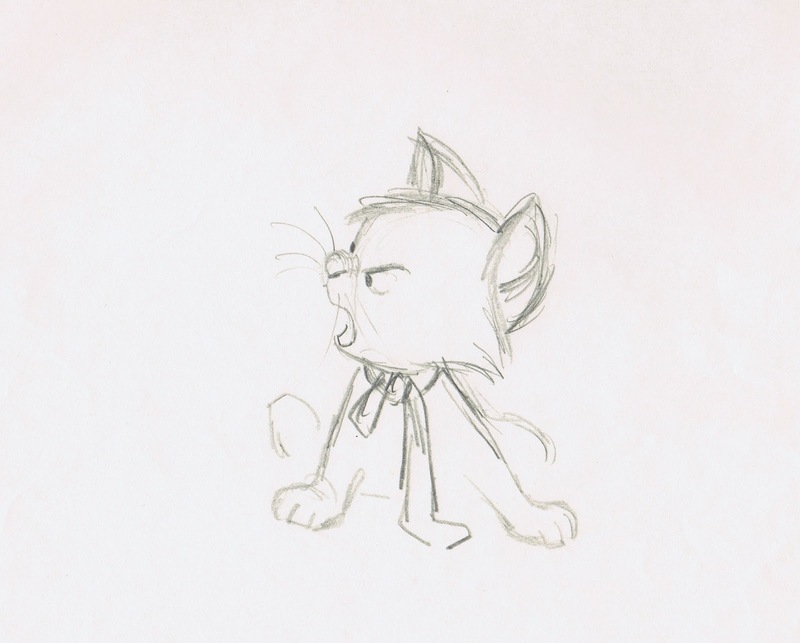 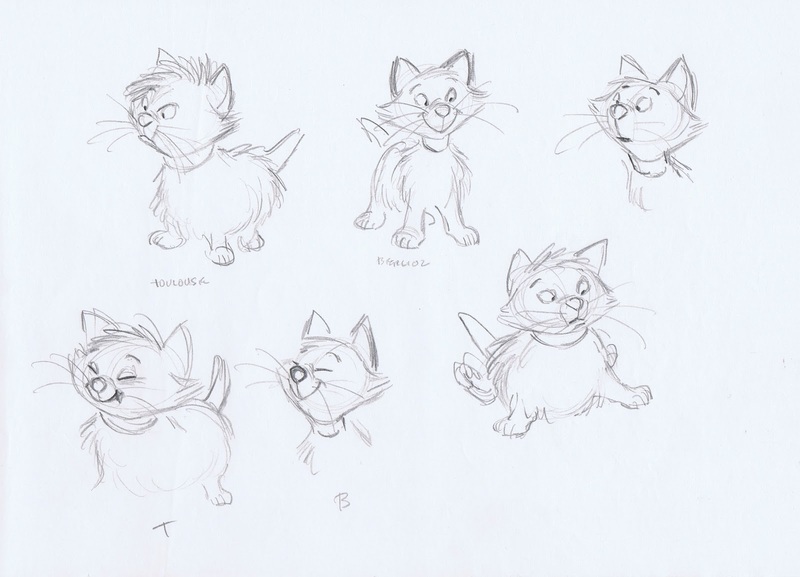 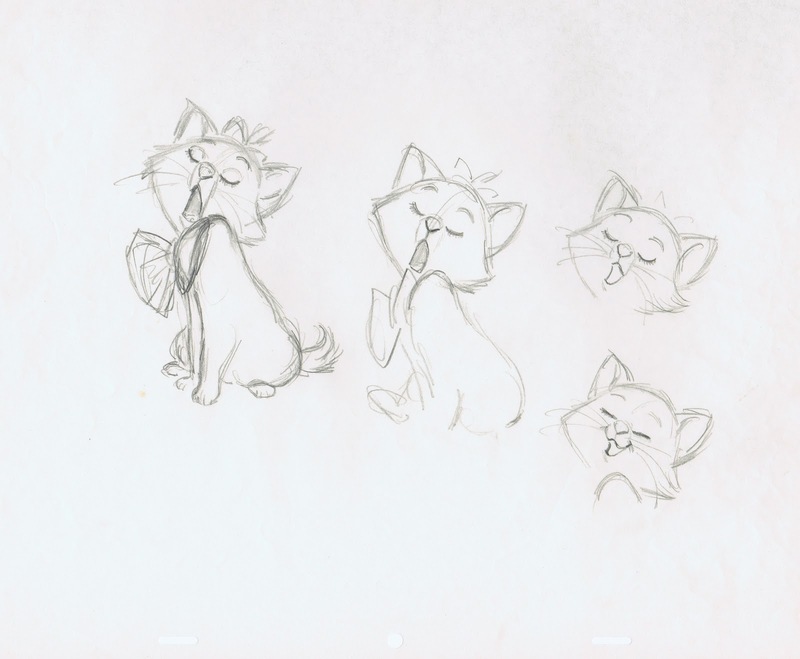 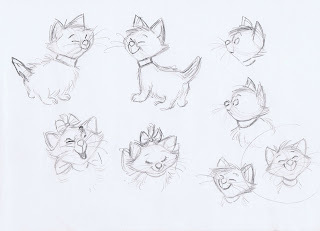 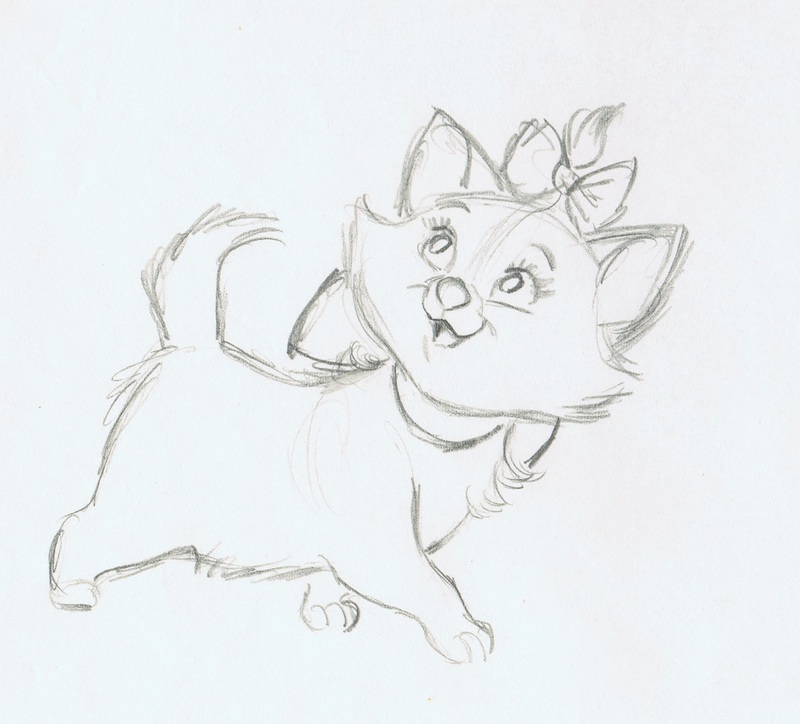 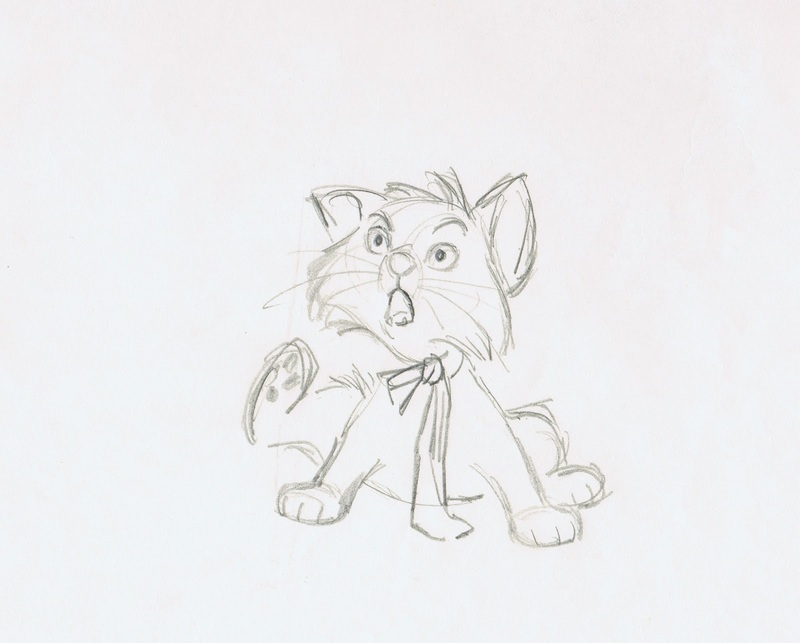 A closer look at some of Ken Anderson's character designs for this hilarious sequence.